Snowboard Bindings, Snowboard Boots and more! When you're looking for a new snowboard, only the best will do. At Buckman's Ski and Snowboard Shops, we have everything you need to get out on the slopes. When you're out there, you want to know you can rely on your equipment — and when you're using snowboarding gear from Buckman's Ski and Snowboard Shops, you can. Like other types of athletes and hobbyists, you need the right equipment. As a snowboarder, you'll need boots, bindings and other gear to make sure your time on the slopes is the best it can be. 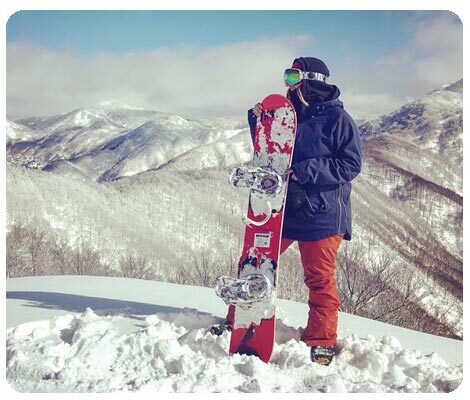 Snowboards: We offer both all mountain and freestyle snowboards for men and women, as well as youth models. No matter how you plan on using your board or the size you need, we can help match you with the perfect one. You'll also find a variety of different designs, too, letting you express yourself through your board. Snowboard Bindings: The bindings on your snowboard can be more important than the board itself. If you choose bindings that are the wrong fit, you could injure yourself or others while you're out on the slopes. Buckman's carries a range of different sizes, so you're sure to find the right fit. 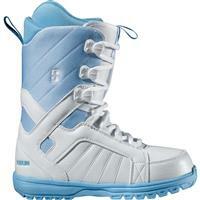 Snowboard Boots: Like finding the right bindings, picking the right boots is key. You'll have a range of different styles of sizes, so you can find the pair that provides maximum support, comfort and style for your time in the snow. Snowboard Accessories: The snowboard accessories we carry include stomp pads, binding tools and more — you'll be set both on and off the slopes. Our wide selection means whatever you need for your snowboard, you're sure to find exactly what you need for your snowboard equipment. We only carry products that are the best of the best. You won't find a better selection of top-quality snowboarding gear, ski gear and accessories. There's nothing quite like being out on the mountain — the anticipation of riding the lift up and the adrenaline of going down. We understand there's nothing better than that feeling, and when you're using great gear, you can focus on the thrill rather than if your equipment is going to hold up. Buckman's Ski and Snowboard Shops is a family-owned store, and we're skiers and snowboarders just like you. We offer free shipping on most orders over $50 and a price match guarantee, as well as in-store pickup for local customers. If you're looking for the best ski or snowboard equipment and accessories, be sure to check out our extensive inventory. With our expertise and selection, you're sure to find gear you can use for many years to come.